The California Environmental Quality Act, or CEQA, is California’s most powerful and important environmental law. More than anything else, CEQA facilitates and empowers community participation in the governmental decision making process. 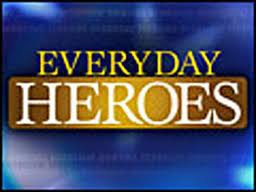 Everyday Heroes is a publication of the Planning and Conservation League Foundation. Everyday Heroes provides story after story about how CEQA has been used to protect our natural environment, to prevent pollution, to accomplish environmental justice goals, and to support good community development and land use planning. Unfortunately, it appears that Governor Jerry Brown has joined with big business in an attack on CEQA. His recent statement that “I’ve never seen a CEQA exemption that I don’t like,” has, at the very least, emboldened those business interests that would like to avoid CEQA requirements. During the third week of August, we almost lost CEQA entirely in a last minute legislative play to “gut and amend” a completely unrelated bill that would essentially have made CEQA meaningless. We barely escaped that fate, but the future of CEQA is not bright, if the Governor truly wants to attack it. On August 13th, Brian Nestande, a Republican member of the California State Assembly, did something quite unusual. He voted for a bill, AB 1500, containing a tax increase. Nestande was promptly stripped of his Party prerogatives by other Republicans, but the fact that he voted for a bill with a tax increase, authored by the Democratic Speaker of the Assembly, was explained by the fact that the Speaker had apparently promised him that the Speaker would support legislation essentially to eliminate the California Environmental Quality Act, a law that Republicans and business interests have loved to hate for the last twenty years or more. In other words, the leadership of the Democratic Party in the Assembly was rumored to be ready to eviscerate CEQA, in return for Nestande's pro-tax vote on a single bill. By the next week, it was clear that Democratic State Senator Michael Rubio, from Bakersfield, was prepared to carry a bill to gut CEQA, put together by a business-based coalition. I saw a draft of the proposed legislation, and it would, in fact, have essentially repealed CEQA, without doing so directly. On Wednesday, August 22nd, the Democratic President pro Tem of the Senate, Darrell Steinberg, put an end to this “gut and amend” revolution for this session, but promised significant changes to CEQA next year. Speaking purely politically, all Republicans will vote to eliminate CEQA, if given the chance. Therefore, only a relatively few Democratic votes will be needed to eliminate the law. If the Democratic Speaker of the Assembly and the Democratic Governor are leading the charge, or are egging on those who want to accede to the desires of the business interests that would like to eliminate CEQA (and thus effectively make the public pay for the mitigation expenses now borne by business), then all of those who care about environmental protection should get prepared for a battle royal. There was a rumor in the Legislature that the Governor might even be willing to call a "special session" to focus on CEQA, perhaps largely because both his proposed high-speed rail project and his Delta bypass project would have many negative environmental impacts, and might well run afoul of current CEQA requirements. If that happens, and the Governor calls a special session, the battle may well begin even before next January.